Traditional LED Canopy is made up of small LED lights, aluminum die-cast housings, and shock-proof covers, produced by Wista LED gas canopy manufacturers. This outdoor led canopy lights wholesale have a brightness of 110LM/W, which are favored by people because of its environmental protection, low consumption, and long lifespan. 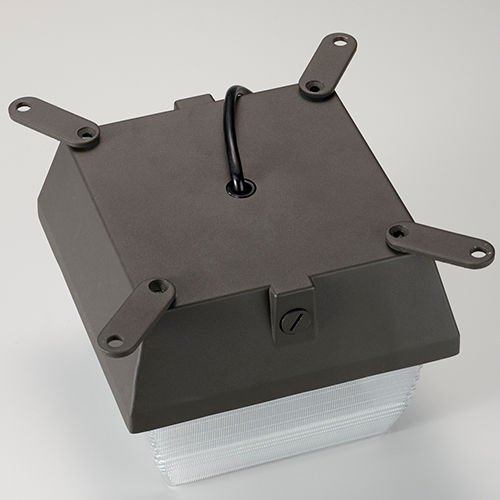 The life of the Gas Canopy lights is more than 50,000 hours, so we dare to provide a five-year warranty. In addition, Wista canopy lights supplier will sell to each customer at a competitive factory price. Application: Garage canopy, gas station canopy, petrol station canopy, commercial canopy lighting fixtures, exterior led canopy lighting, and etc. 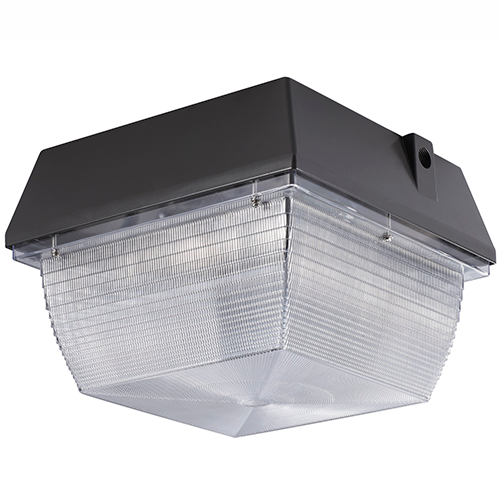 Various light fixture canopy choice: 20w led canopy lights, 40w light canopy, 60w light fixture canopy, parking garage lighting, gas station canopy lights, etc. A wide range of application. The outdoor canopy lights are used widely, mainly in the gas station, workshop, warehouse, parking lot, hallways, etc. Guarantee high-quality. Wista LED lighting manufacturer has experienced workers and a strict production process to ensure high-quality of led canopy light fixtures. Good performance. Silicone gasket for extra protection against dust, dirt, insects, and moisture. Bronze polyester powder coat finishes for corrosion resistance and UV resistance. Fast delivery & Factory price. Email or call us to leave your wholesale volume and specifications, we will give you the LED canopy lights price as soon as possible.